Is the eurozone's debt crisis set to reignite? Markets were volatile Thursday, with the Russell 2000 flirting with losses for the year on fresh concerns over the health of the Portuguese banking system. 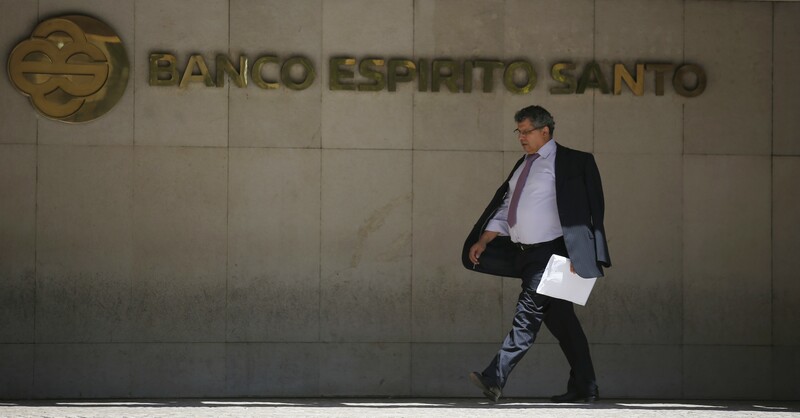 This comes after trading in shares of Portugal's largest bank, Banco Espirito Santo, were halted in the European session after tumbling 19 percent. This followed a decision by BES' holding company, Espirito Santo Financial Group, to suspend trading in its shares and bonds due to accounting irregularities in its holding company, Espirito Santo International. Long story short, the health of Portugal's largest financial institution may not be all that it seems. That, in turn, is pushing up Portuguese government borrowing costs to levels not seen since April and reviving fears of eurozone financial contagion as the country's bonds come under pressure. There is an inverse relationship between price and yield. The yield on Portuguese 10-year notes is testing the four percent level. Yields hit a high of 7.4 percent back in September and a low of 3.3 percent in June, illustrating just how aggressively investors had been moving into Portugal's bonds. Fear is back in the air, an emotion that investors haven't felt since 2012 when the European Central Bank essentially promised to print as many euros as was necessary to protect the future of the currency union. Since then, the euro has strengthened markedly and attracted foreign capital into Europe's government bond market, pushing down borrowing costs in many cases below the levels demanded of U.S. Treasury bonds. As a result, Portugal was able to exit its bailout program. This got added impetus recently when the European Central Bank cut one of its main policy interest rates into negative territory. But none of this has addressed the core causes of the eurozone crisis, including high indebtedness, unreformed institutions including public pensions, high unemployment and a lack of export competitiveness. Moreover, many of the banks in the peripheral eurozone countries are still saddled with the detritus of the last bubble: Bad housing debt. Just look at Portugal. Its government debt-to-GDP ratio is at 129 percent and rising. Its unemployment rate is north of 15 percent. Its balance of trade remains weak as exports stagnate. Recent data in the region has also cast a pall on the situation. French inflation data was weak as industrial production dropped 3.7 percent in May, fueling deflation concerns of the type the ECB was trying to fight by cutting interest rates into negative territory. Italian industrial production dropped 1.2 percent in May. German production dropped 1.7%. The risk is that the combination of economic disappointment mixed with concerns over Europe's banking system revives contagion fears that originally threatened the eurozone starting with Greece in 2011. The problem is that the ECB's efforts to lower government borrowing costs over the last two years have encouraged banks to gorge themselves on sovereign debt, thereby tightening the link between Europe's governments and its financial system. So as the banks weaken, it will cause government borrowing costs to rise, thereby weakening other banks holding the same bonds. It's a potential downward spiral. At this point, with the ECB doing pretty much all it can there may not be another quick, easy fix. The bank's actions in 2012, and the market's reaction, were based on a still vague government bond buying program known as "Outright Monetary Transactions" or OMT. The terms and structure of that program were never revealed. And it may not even be legal under the ECB's founding documents, which forbid outright financing of insolvent governments. So add it all up, and the threat of additional turmoil in Europe is high. Which explains why investors are diving into safe haven assets like gold and silver, helping punch the precious metals up and over their two-month resistance ranges.